Dimension shown is the overall length. 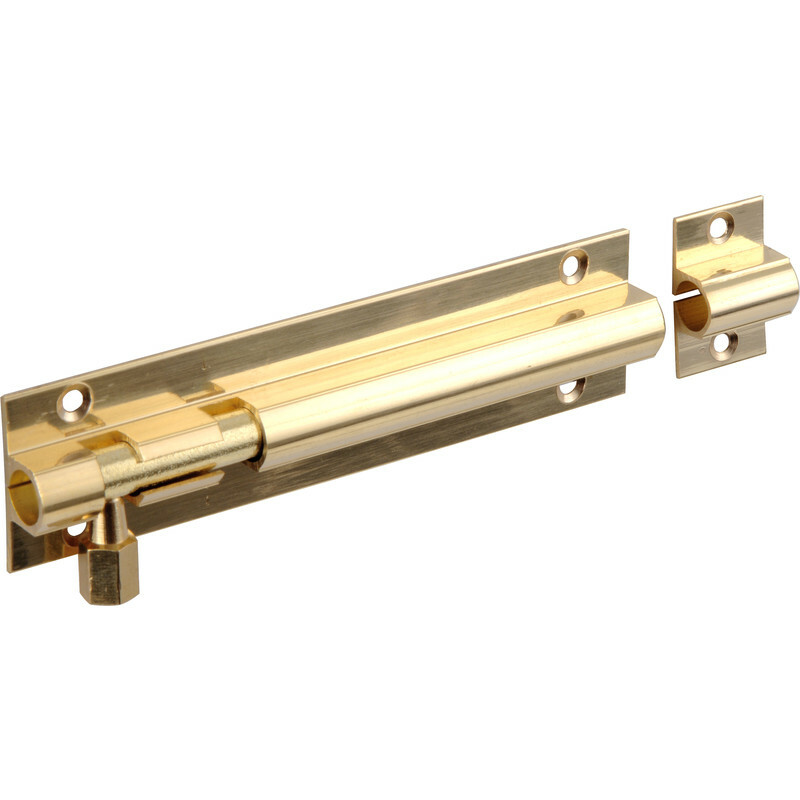 Brass Door Bolt 50mm Straight is rated 4.9 out of 5 by 8. Rated 5 out of 5 by DaleyB from does the job! needed 50 of these for a job, and at this price i saved a lot of money compared to somewhere else. quality was just as good but it is a cheap item and some of them were roughly made and needed a file down and screws need a pilot and are one use only. Rated 5 out of 5 by Alphatango from Good Value! Nice bolts, good quality. Rated 5 out of 5 by dav1946 from brass bolt that was wonderful thank you. Rated 5 out of 5 by Robbobobo1973 from Door lock It locked my door and then unlocked it.